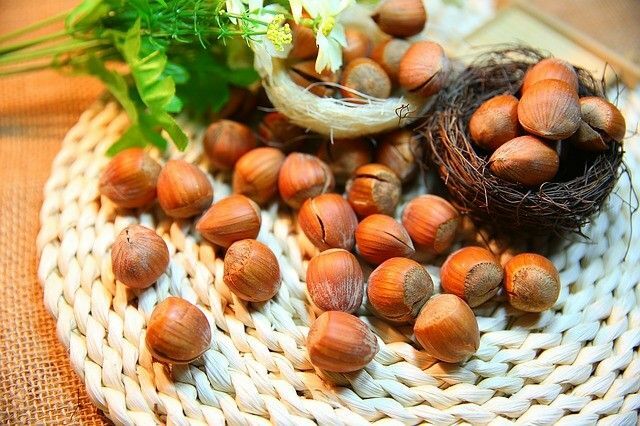 Hazelnuts are full of good fats – mainly the monounsaturated type – that are known for their cardiovascular health benefits. These nuts are also highly antioxidative. Excellent reasons for including them in your menu. We probably already consume them without realizing it, since hazelnuts are the essential ingredient in Ferrero’s Nutella, which is also the world’s largest consumer of hazelnuts. However, this year’s inclement summer in Turkey, which produces 80% of this nut, pushed up its price by 60%. Which means that the price of Nutella will also definitely shoot up. So this is the ideal time to prepare your own choco-hazelnut spread, by roasting hazelnuts and then grinding and mixing them with chocolate, sugar and a little milk. Try our recipe for Choco-Hazelnut Spread. Originally published in the Journal de Montréal on October 11, 2014.